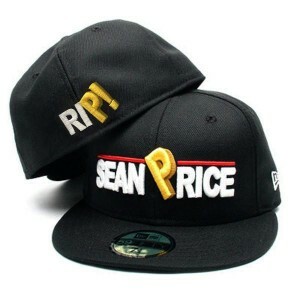 The official Sean Price "RIP" New Era 59/Fifty Fitted Hat. The hat is made from 100% Wool with the embossed "Sean Price" logo on the front and the "RIP!" logo on the back. Also comes with the official New Era golden foil sticker. Proceeds will be going to Sean Price's family.